The countdown is on as we quickly approach the end of 2017. Let us help you meet your deadlines before time runs out! Total Phase is offering the biggest discount of the year on our time saving tools. Get your 2017 year end discount here and save up to $1000 of your order. Offer ends December 31, 2017. Python 3 Support Coming Soon! Many of our customers asked, we've listened. 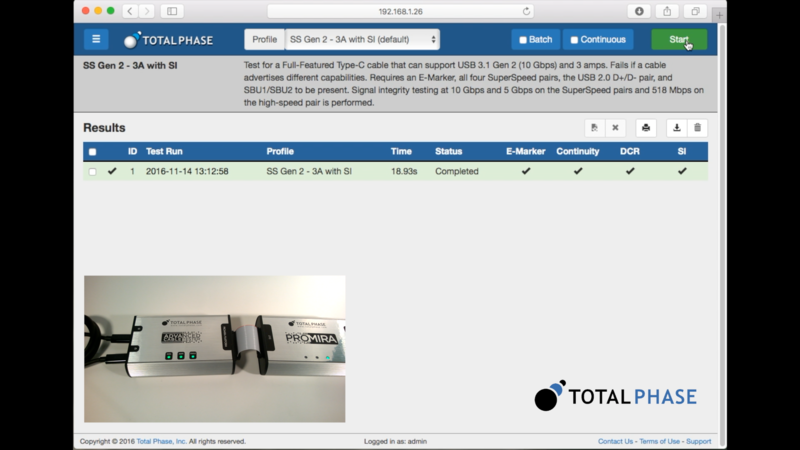 Total Phase is pleased to announce Python 3 support for all Total Phase products including the Promira Serial Platform, Aardvark I2C/SPI Host Adapter, Cheetah SPI Host Adapter, and Beagle I2C/SPI Protocol Analyzer will be released this month. This new release will enable developers to work with the latest version of Python. Once released, you will be able to download the latest API version here. Click on the Software category and choose the API for the product you use. Total Phase is proud to announce the Advanced Cable Tester has been selected as a finalist for the R&D100 Awards. The R&D100 Awards have served as the most prestigious innovation awards program for the past 55 years, honoring great R&D pioneers and their revolutionary ideas in science and technology. Winners will be announced later this year. Additionally, the Advanced Cable Tester was named a winner of the ECN Impact 2017 Award. ECN Impact Awards recognize the top products and services in 18 categories across the design engineering landscape. The award celebrates the hard work and innovation on the part of designers and engineers in creating products that had the greatest impact on the electronics industry in the past year. We are honored to join this group of accomplished winners. It (USB Power Delivery Analyzer) does exactly what it says. Very pleased with what this tiny little device can do. An essential device if developing with USB-C Power Delivery.